I drafted this for Geek Pride Day on May 25, but alas, I was helping students graduate and fighting with a hi def film that just wouldn't render. Little did I know that I was making film in higher quality than the original first Star Wars film released on May 25, 1977 that this day was established to commemorate. I wanted to share this post anyway. My love affair with computers started when I was 7 in the 70's. In the 1970's when Star Wars was being released, my Dad had me using his Radio Shack TRS-80 and I fell in love with computers. By the time the computer revolution began and people started using the word "nerd" I was already one. In my tiny town of 4,000 or so, at first it bothered me, but then, I realized it was my future. Little did I know how true this would be. I went to Georgia Tech in the 80's because of their role in computing and fully embraced being called a "nerd" which soon turned into the word "geek." First I was in the mobile phone business in the early 90's and my geekiness meant money in my slim wallet. But now, I'm moved into one of the greatest professions on the planet: teaching. My geekiness can literally improve lives. 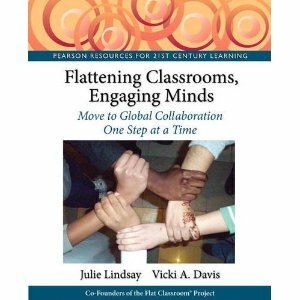 Through teaching wikis, I met Julie Lindsay in Bangladesh through the K12 Online conference in 2006, and we became the best of friends co-creating the Flat Classroom projects. 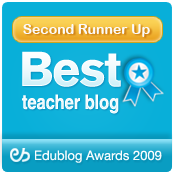 Before we even met, we had won the ISTE Online Learning Award for the best collaborative educational project in the world. Geekiness had again improved my life and the children I teach. 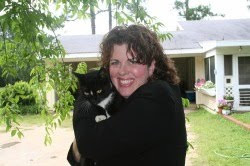 Now, Julie and I both teach full time but have created networks of teachers who help students connect with each other from Kindergarten, college, and beyond - thousands of kids each semester turn to each other to learn about culture. Students are the greatest textbook every written for each other. Geekiness has opened the book for powerful online learning experiences between students on whom we will depend upon for the future success of our world. Their ability to work together online with integrity, discipline, and respect is a hinge upon which our future will swing. We've coordinated and held conferences in Doha, Qatar, Mumbai, India and Beijing China and in the next 12 months will host a Flat Classroom conference in Germany and Japan. Geekiness has helped us knit together a functioning organization with people from every continent. Now in my own life, I get to be a full time teacher and have published my first book Flattening Classrooms, Engaging Minds . Because I'm a geek, I've figured out how to schedule my social media interactions on the weekend or wee hours of the morning so that during the day I can focus on my students. I spent time shunning the term "geek" but now I realize that my life and the life of others is being improved as we speak because I'm a geek. If geek means I can help students no longer stereotype each other - then bring it on. If being a geek means that students can graduate from high school able to collaborate -- then let it be. If being a geek also means that my family can pay off our debts and I can pay for college for my children - then it is a great blessing. I celebrate being a geek because being one has improved the world, the world of my students and children, and my own life. In today's world being a geek is an advantage and should no longer be a byword or insult. keep you from fulfilling your own life's plan. about you, your classroom, and kids everywhere. and the blessings today are worth the past's tears. where being smart is OK and "geek" gives you cred. Geek Pride Day - What are my Geek Credentials?